How do you fancy getting your hands on a pair of tickets to the glamorous Orange Prize for Fiction Awards? Handset partner BlackBerry would like to offer a lucky reader the chance to win a pair of tickets for the Awards Ceremony at the Royal Festival Hall on 3 June. The Orange Prize for Fiction is one of the UK ‘s most prestigious literary prizes, awarded annually for the best original full-length novel by a female author of any nationality written in English . See after the jump for how to enter. To be in with a chance please tell us who was the winner last year and send you name, number and email address to this email address by the 30th May. Sorry, UK only- and you will have to make your own way there! 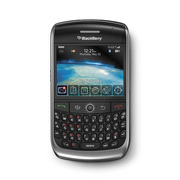 The BlackBerry and RIM families of related marks, images and symbols are the exclusive properties and trademarks of Research In Motion Limited. All other brands, product names, company names, trademarks and service marks are the properties of their respective owners. RIM assumes no obligations or liability and makes no representation, warranty, endorsement or guarantee in relation to any aspect of any third party products or services.